Minor Car Repair Damage You Can Fix Yourself, or go to ChipsAway! As frustrating as it is, it’s pretty much inevitable that your car will get chipped, scratched or dented at some point in your life. 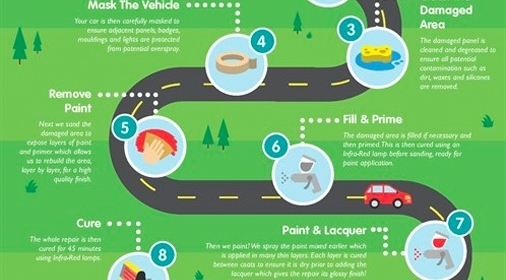 Even if you’re not an expert in DIY, there are actually some minor car repair damage that you can fix yourself, if you feel comfortable with the steps. However, if you’re not completely comfortable and want to ensure that your repair is flawless, then you can call ChipsAway! We are the UK’s leading minor car body repair specialist, and will do an impeccable repair for you in just a couple of hours. Click here for your free estimate. First of all, you need to make sure that you have the right paint to match your current vehicle. In order to find your perfect match, ChipsAway uses specialist software that allows us to select the exact makeup of your car’s paint. Each vehicle has a unique colour code and mix paint which relates to a specific colour formula. Clean the damaged area thoroughly and then dry it down with a cloth. Cleaning the scratch ensures that no dirt or contamination interferes with the process. Apply masking tape around all areas of the car that are surrounding the scratch – this will protect them from any potential colour overspray. Sand back the damaged area so the layers of paint and primer are visible, then still fill and prime. Allow the repair to cool down until it’s at normal temperature. Use a heated lamp if you have access to one, this will speed up the cooling down process to about 15 minutes. Once primed, you’re ready to paint! Apply the paint evenly in thin layers, whilst waiting for each layer to dry before applying the next. Finally, apply polish to the finished repair and your car should look good as new! There is a range of very quick and easy methods you can do when looking to repair a minor dent. Fix the plunger firmly around the dent, and then gently push and pull the plunger in order to pop the dent out. Your dent should then pop out relatively easily! Drastic changes in temperature makes metal expand and contract more easily, which means that you should be able to repair your dent! For the best chance of this working, you will need to make the metal as hot as possible, and then as cold as possible in the shortest time frame that you can. 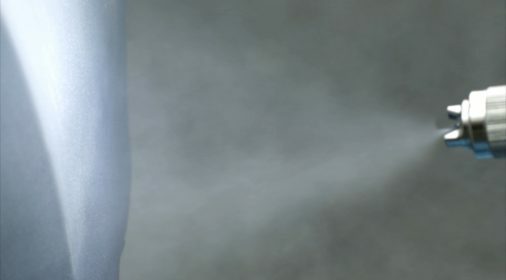 Remove the hairdryer quickly and then immediately apply to dry ice to the dent. This drastic change in temperature should mean that you are able to pop back into its original shape. Take a large piece of flat metal and cover it in with a cloth in order to protect the paintwork on the exterior of the car. Place the metal up against the dent on the outside of the car and hammer the dent from the inside. With a few knocks at the right angle, the dent should pop out in next to no time. If you would prefer to leave it to the professionals, complete our online form for a free estimate. SMART Repair FAQs: How do we Fix Dents and Scratches? 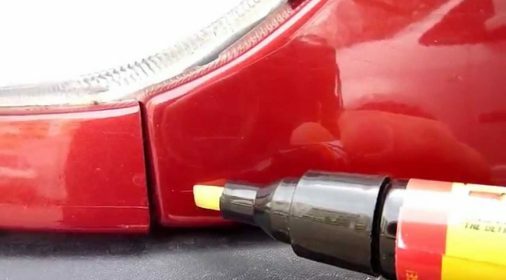 Car Paint Pens: Can You Ever Get a Good Result? 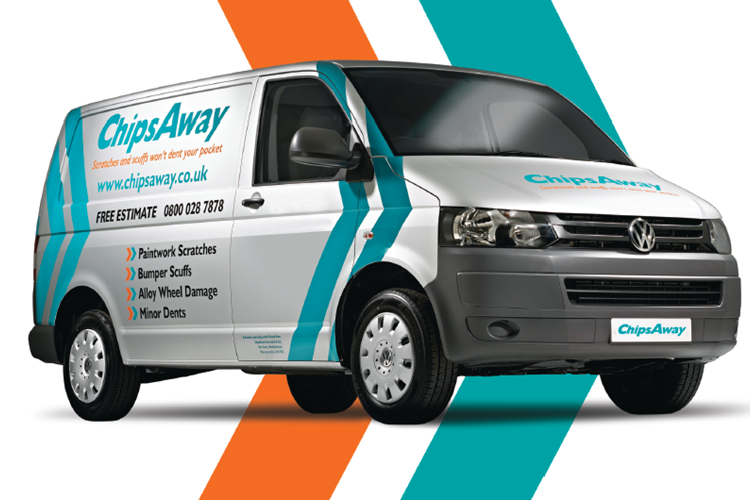 What is the ChipsAway Repair Process?